Easy to install with a fitment that rivals the OE intake. Securely mounts to the frame with only one (1) attachment point. 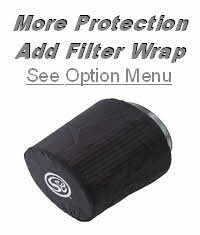 S&B's new filter allows for easy removal and maintenance. Now just remove the lid and pop out the filter. There's no need to move the intake tube or loosen couplers.